What a WEEK! I always think I can't possibly get busier or more tired, but the Lord seems to be trying to prove me wrong. :) This was a crazy week, with 14 new missionaries and a LOT of last minute changes and urgent happenings. But it was lots of fun. Monday we had a big lunch in the mission home with all of the missionaries who finished their mission, and that was a lot of fun. This was the first time that we had a big group of missionaries going home that I knew really well. Each of the missionaries that went home was someone I knew well, so it was fun to spend time with them on their last day. Tuesday we went to the airport and dropped them all off, took pictures, and then watched the airplane take off. Crazy moment to realize none of them will ever be in the mission again. I still remember my first transfer when I did splits with Elder Blackmon. Time goes by WAY too fast. When we got back from the airport, we got the office all ready, and then all the new missionaries arrived! An awesome group, as always, full of spirituality and excitement for the work. We had missionaries from all places in South America and North America, and even one from Spain! Pretty cool. Wednesday we had our orientation meeting for all the new missionaries and their trainers, and had a lot of fun with that, as always. Thursday was leadership council. A lot of new zone leaders, including two who are from my group of missionaries! As I said before, time flies. Also, the two new assistants, Elder Gifford and Elder Llanos, and two new sister training leaders, Hna Jones and Hna Pacheco. Lots of change. Friday, we got everything ready for capilla abierta, and that evening we headed out for Nogoyá! We stayed the night, and Saturday had capilla abierta! So much fun. In the morning, when we do visits, I had the chance to go with Elder Gifford to my old area and visit a bunch of people. It was so much fun! I was loving every moment, being able to work in my old area again. Everything was so familiar. I got a little sunburnt, though... I guess it's because I'm inside for a lot of the day, and when we are outside, it's usually evening, so four hours straight in the morning-midday on a clear day can do that to you. :) We saw lots and lots of miracles, and it turned out as a huge success. We had more people come to the capilla abierta in Nogoyá than in some wards in Santa Fe! So cool. This is definitely God's work, and His hand is in it. We only have to have the faith to do it. I remember going into the capilla abierta, I started to feel a little bit of doubt, knowing how difficult the area can seem, and wondering if it would work, but then I stopped my self and said "Where's your faith? Have some faith in God! Don't you believe that He can do all things?" And so right then and there, I decided to stop doubting, and just do what I needed to do to the best of my ability and leave the rest to Him. And it turned out great! One thing I have noticed from capilla abierta is the focus on the individual. It always seems like with these activities that they are meant to find very specific people, very specific children of God. They have never resulted in huge droves of people coming in at a time, all ready to be baptized, but usually one or two at a time. And I have thought, it is so amazing to me that God would do all of this, organize this whole activity, bring in 20+ missionaries plus all the members of the ward, not to mention all the money spent in food, transportation, preparations, etc., all the time coordinating, just to bring one or two people. THAT is the worth of souls. He will do all of that and so much more, just to be able to bring one of His children back to Him. Truly the worth of souls is great in the eyes of God. 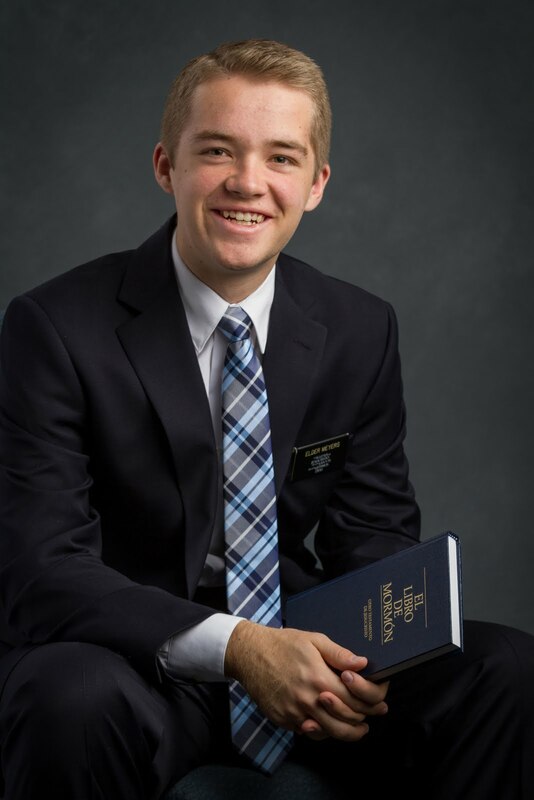 I know this is the true church of Jesus Christ, and that we have the fulness of the gospel, and that when we live that gospel in every aspect of our lives, we truly change and become more like our Savior. The gospel changes lives. I have seen it so many times during my mission, especially in my own life. When we become converted to the gospel, we have no more desire to do evil, but to do good continually. (Mosiah 5:2) May we live the gospel EVERY day, not just Sundays, and strive in every moment to remember the Savior, as we have covenanted to do. Another sleepover in Nogoya with Elder Gifford and Elder Robles! Selfie with Elder Clayton in Nogoya!